Welcome to Rushbury Village Hall. The Hall is located within the village of Wall under Heywood approximately 4 miles from Church Stretton on the road between Church Stretton to Much Wenlock (the B4371). It is located in a beautiful rural location with stunning views across the Millennium Green towards Wenlock Edge. 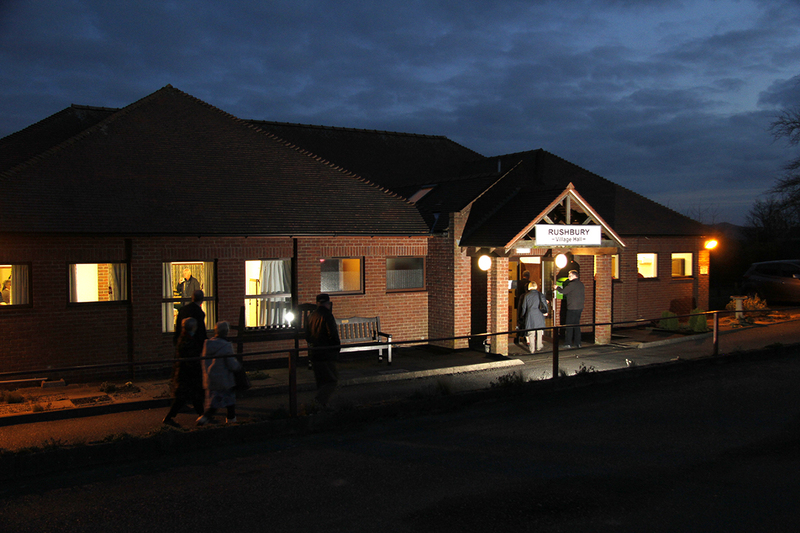 Built in the mid 1990s, the Hall has a large room with high ceiling suitable for club and local organisational activities, fund raising events, parties (up to 200 standing and 160 seated), concerts, shows; a smaller room suited to meetings, and a kitchen which is suitable for simple preparation of food and delivery of teas and meals. Heating throughout the hall, meeting room, kitchen, toilets and lobby is provided mainly from infra red heaters kindly funded through a grant from the Big Lottery Fund in 2016. Our staging system and lighting is also funded through a grant from the Big Lottery Fund in 2019.